This article features the top thirty online master's in accounting degree programs. Given the giant leaps of complexity the accounting field has experienced in the digital age with issues arising from globalization daily the field has been and still is going through a period of change. It’s no longer feasible for many organizations to have their accounting departments managed by people without an intimate understanding of the specific challenges and best practices of modern accounting. Thus many organizations are turning to accountants to fill the management positions. Many graduate programs in accounting are responding to these changes by including more courses designed to help accountants become effective managers. The other benefit of a graduate program is the opportunity for specialization. Due to the increasing complexity of the global marketplace it has become impossible for any one person to develop an intimate familiarity with every niche within accounting. Companies need specialists, each with intimate knowledge of their particular area of expertise and the Master’s degree can provide you with that expertise. A master’s degree has also been a requirement to sit the CPA exam in most states for some time now so for many accountants it’s an essential part of career growth. These top thirty online accounting programs can help students earn their graduate degree without giving up precious time gaining experience as companies value both experience and education highly. Because in the business world credentials, prestige, and reputation are important we have awarded points to schools on this list based on whether or not the school’s accounting programs are accredited by the AACSB, and the level of recognition the school has received from three of the most respected college ranking authorities. The system controlling how points are awarded is as follows. 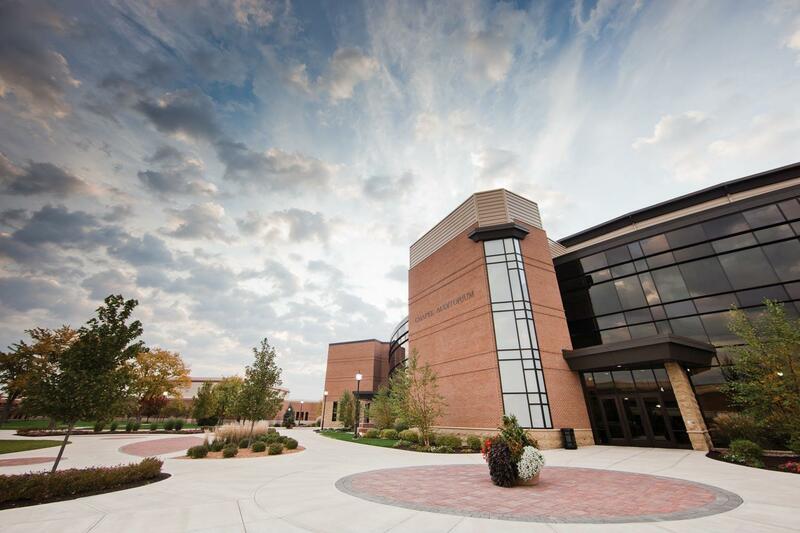 The online Master of Accountancy program at SUU has been offered by the school for 18 years. SUU graduates of the MAcc program enjoy a near 100% job placement rate, which provides students with a measure of stability when planning their career. This comprehensive thirty credit online program is designed to build on an undergraduate degree in accounting. 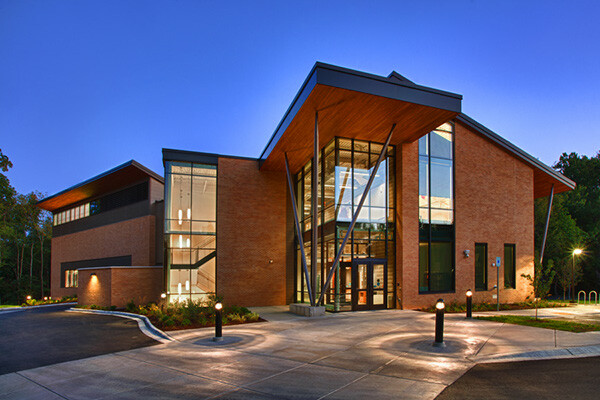 The MSA from IWU will give students a deeper understanding of a broad range of accountant roles and responsibilities including: Forensic Accounting, Tax Prep, and Financial Reporting. The 40 credit online MAcc program offered by Nova Southeastern University is designed specifically to help students meet the educational requirements of the CPA exam. Students will also graduate with an intimate understanding of accounting best practices, and the skills necessary to overcome modern obstacles in a variety of positions. The program can be completed in as few as 21 months. See #13. We originally reported that Rider University did not carry AACSB Accreditation. This was an error. The correction moved Rider to #13 on our list. Students of this online program will develop a mastery of the fundamental technical aspects of accounting but the training doesn’t stop there. The MSA program at Franklin is designed to train students in the communications and management skills required to advance into the highest levels of management in the field. The online MSA program at Bellevue provides the required number of credits for a student to qualify to sit the CPA exam so long as that student has an undergraduate degree in accounting. While the program meets those requirements, the focus is on providing students a broad education in accounting focusing on real world situations. Professional mobility is the hallmark of the online Master’s in Accounting program from NEC. Students will leave the program prepared to take on real world issues in accounting, and for the career defining exams that await including: CPA, CMA, CFE, and CIA certifications. In addition to preparing students for many of the important examinations, the program also helps students master the most important skills and best practices in accounting. Students in the online Master of Accountancy program at this United Methodist college will find themselves prepared to sit the CPA exam, and to forge forward into mid and senior level positions in the accounting profession. The program teaches students the ins and outs of professional communication and other management skills essential to advancement into, and success in, management positions. Students considering Western New England University’s online Master of Science in Accounting program will find they have the option to complete the program 100% online or in a blended format. The student has near total control over how the degree is completed. The program also offers two concentrations, one in Forensic Accounting/Fraud Investigation, the other in Taxation. The online program in accounting from TAMU Commerce is a strong choice for students seeking affordability and a school with a strong reputation. “Get Educated” ranked TAMU Commerce graduate programs in business as a best value university for online business programs. The accounting program qualifies and prepares students to take the four big accounting exams, CPA, CIA, CFA, and CMA. This 33 credit program is designed to adjust to the student’s needs, whether the student desires a fast paced full time program, or a part time program that allows them to earn the degree gradually while preserving time for work and family. The program can be completed entirely online, and meets the education credit requirements of the CPA exam. This 30 credit online accounting program prepares students for a variety of career options. Flexibility is important and never more so than in the modern economy. Students benefit from programs designed to provide solid general foundations that enable students to work in a broad variety of contexts. The program also emphasizes leadership skills and strategy that will contribute greatly to each student’s professional advancement. The Executive Master’s in Accounting with a concentration in Forensic Accounting is a fully online program designed to be as flexible as possible for the convenience of working professionals. This two year program is populated with a diverse student body from around the world. While Forensic Accounting is the concentration, students will still find the program meets their needs if they are seeking to sit for the CPA exam. The online Master of Accounting program at Saint Leo University stands in contrast to the MBA with a concentration in accounting also offered by the school. The MAcc is provides students with an in depth understanding of the most important and often complex concepts in the field. The MAcc is the premier degree in the accounting field for those who wish to become a CPA. The school cites a statistic backing this statement, 82% of people with graduate level education hired by CPA firms in 2011 held a MAcc degree. Fundamental knowledge of the rules, regulations, and practices of accounting isn’t enough anymore for the modern accountant. Gardner Webb recognizes that more is expected of accountants every year in the quickly changing dynamic global market. This program is designed to help students become the kind of leader the accounting profession needs. Liberty University’s online MSA program is designed to help students achieve their career goals in as convenient and flexible a way as possible. Liberty is an evangelical Christian university and as such seeks to foster in students ethical practices and a strong sense of integrity, important qualities in any accountant. Edgewood offers students the chance not only to complete this high quality MSA program fully online, but offers a level of support rarely seen from online schools. Most students will be able to contact, learn from, and work with, regional partners including other students and even active alumni. The program helps build professional connections from the very beginning. Students seeking to take their accounting career to the next level might consider the online MAcc program at Rider, which is designed to help students do just that. The program prepares students for challenging real world accounting situations, and makes sure they’re ready to take the various career defining exams required for entry into many of the accounting specialties. The online MAcc program at the University of Scranton offers students a comprehensive study of the skills necessary for leadership in the accounting field. The program balances the hard skills necessary for effectiveness at the top levels of the field, with the development of the soft skills necessary to building and managing a quality team of people. The public university system in Georgia has an online initiative of which the WebMAcc is a part. The program is offered through the AACSB accredited accounting program at Georgia Southern which is one of just a few accounting programs so accredited to offer the program online. The online courses are designed to be identical in content to the traditional courses, with the benefit of a flexible, yet powerful online delivery system. The online Master of Professional Accountancy program at USD is designed specifically for individuals who desire to become public accountants. The program is focused on technical mastery, and exam preparation. The program has one goal and that is to develop the skills of students to the point of comprehensive professional mastery of the discipline. Stetson’s online accounting program is detail oriented down to class scheduling, which is designed with the CPA exam modules in mind, so students are learning the principles on which they will be tested, right before the tests. Because this online program is designed to help students get their CPA certification, and prepare them for work as a CPA or other accounting professional, the program is currently only open to students that hold a bachelor’s degree in accounting. The UAB online Master Degree in Accounting program is offered through the Colat School of Business. Collat’s accounting programs were among the first wave to enjoy accounting specific accreditation by the AACSB and had maintained this distinction for 30 years. Students can take advantage of world class faculty and an extensive professional network, all while enjoying flexible and personalized accounting education. Colorado State University is a highly regarded public university that has thrown itself into online education through the creation of the CSU Global Campus. Online programs are added to the catalogue every year. The online accounting program focuses on empowering students with the tools necessary to become leaders in personal and corporate finance. The online MS in Accounting program at St. John’s focuses on accounting from the perspective of the profession’s role in the global marketplace. As the complexity of the field increases, St. John’s recognizes that the demand for specialists increases, and has designed this program to help students become professionals capable of fulfilling this demand. The new online accounting program at Syracuse University has three tracks for three levels of students. Those with an undergraduate accounting degree take a 30 credit program. Those with a business degree take a 42 credit program, and those any other degree take a 48 credit program. Alumni from the school have gone on to work for some of the biggest names in the business including Deloitte, Ernst & Young, and PricewaterhouseCoopers. UNC is one of the most prestigious public universities in the world. The Kenan-Flagler School of business is well known and widely respected on a global scale. The online accounting programs uses the same rigorous curriculum taught by the same renowned faculty as the Kenan-Flagler in person traditional program. Very few schools can rival the quality of this program and students that qualify should definitely consider earning their degree from UNC. The online accounting program from Rutgers is a little more specific than most on this list as it is a Master of Accountancy in Governmental Accounting. We included it anyway because Rutgers is a top level school and one of the best online schools out there. The program satisfies CPA exam requirements, and prepares students for government or government related work. 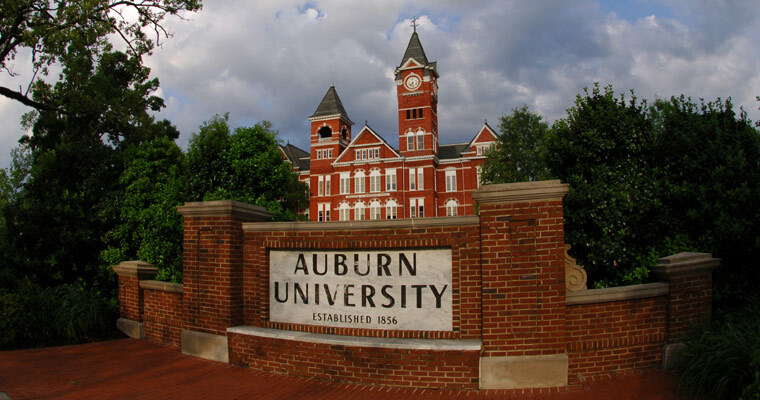 The online Master of Accountancy program at Auburn impresses on many levels. The accounting program itself is accredited by the AACSB’s accounting accreditation arm. The program, while flexible to accommodate working adults, can also be completed in just one year by ambitious students willing to put in the work. Most important, the online program is just as rigorous, challenging, and rewarding as the traditional program. The Isenberg School of Business is one of the most respected business schools in the world. Starting in Spring 2015 this prestigious school will be offering an online Master of Science in Accounting program. Already the Isenberg Online MBA is one of the best online business programs in the world, and we expect the online MSA program will follow in those footsteps. The University of Connecticut was one of the first major universities to offer an online accounting program. The history of quality has a lot to do with how closely tied the online program is to the traditional program. Same faculty, same strong curriculum. UConn is one school that has fully embraced the online education medium to the point where they just view it as an extension of their school’s quality programs. The Naveen Jindal School of Management is one of the most respected in the U.S. and offers some of the highest quality online programs in existence. Its online business programs are considered the 4th best in the nation. The online accounting program is comprehensive covering everything from the effective use of the industry standard software and tools, to CPA exam study help.